In this post we talk about what to look for in a adjustable bed. These 8 best adjustable beds on the market today and provide links to the reviews for those beds. I just had an incredible night’s sleep! How often have you actually said that after waking up? If you’re like most people, probably not that often. And while there are a number of factors that can affect sleep quality, having the right bed is a big one. Fortunately, there are some amazing adjustable bed options out there right now that can take you from “meh” to “yeah!” when it comes to sleeping. Cause when it comes to the place where you spend a third of your life, why not make it a place you can’t wait to get to? Well, we’ve got you covered. In this post, we’ll go over the 8 best adjustable beds on the market. We’ll give a thorough look at each one, so you can decide which one is right for you! So keep reading to find out everything you need to know about the premier adjustable beds available! Let’s first talk about what an adjustable bed is. An adjustable bed is one with a movable bed frame. It has a built-in motorized mechanism that can change the position of the mattress to suit the sleeper’s need. If you’ve ever seen or been in a hospital bed, you’ve already seen an adjustable bed in action. They were originally developed specifically for hospitals. Patients have a variety of needs for sleeping and resting positions, so these beds are ideal for a hospital setting. They also are helpful for increased circulation which can help reduce swelling and decrease pain. Historically, the frame was already controlled by remote control. But these days a lot of beds offer a phone app that can control the bed’s movement. In an adjustable bed, you can position the mattress to anywhere from completely flat, to raised in the back, to raised in both back and front. This flexibility is one of the primary features of adjustable beds that people love. Other features that have been added to adjustable beds in recent years are things like massage capability, silent alarms, and anti-snoring settings. Usually, an adjustable bed comes with a mattress, but this isn’t true 100% of the time. So always make sure you know whether a mattress is included when you purchase an adjustable bed. There are some standard features that every adjustable bed offers, and extra features that few have. First the standard ones. Most adjustable beds are designed to incline the head and torso by a range of 58 to 80 degrees and incline the bottom half of the body by a range of 30 to 45 degrees. They are designed to hold more than 400 pounds. And some even hold up to 850 pounds! And they are all designed to be controlled by a separate device, which could be a remote control or a remote connected by wire to the bed. Here is a sampling of the optional features often offered by adjustable beds. Some beds have a customizable height, meaning the overall bed can move up and down separately from the movement of the head and legs area of the bed. Other beds have a split in the middle so that each side is adjustable. This is perfect for two people who might want different levels of head and leg height. Another great feature offered is time adjustment. This is perfect for people who would like their bed to cycle through different positions over the course of the night. The bed will change based on how many minutes or hours have gone by. Some beds will come with up to four memory presets. This means that it will remember up to four specific positions and can go right back to them from any position. Now that we’ve gone over some of the basic definitions and potential options, let’s take a look at our list of the 8 best adjustable beds. If you want additional information on any of the beds you can get a full review by clicking on the review link at the end of the description. Read through to get a sense of which bed might be the best for your particular needs! The Split S-Cape from Legget & Platt is a high-end option for those looking to spend some money on an adjustable bed. But not to worry – you get your money’s worth! It has as strong a bed frame as you’ll see out there. This is great for supporting your muscular system. And it also has a built-in retention system, which means you won’t have to have a retainer bar to keep the mattress in place. It comes with two wireless remotes that can control each of the split king sides. So two people sharing the bed can each have their own remote and control their exact position without bothering the other person. There is also a pair of 4-hub USB ports attached to the bed. So users can charge up all their accessories easily! It has a dual massage system that allows each side to have a separate massage at the same time. And it’s incredibly quiet. You can barely hear when it’s moving from position to position. The only negative we could find is that the base is pretty heavy. So don’t try to lift it up by yourself after you unbox it! Read the full review of the Legget & Platt new Split S-Cape here. This adjustable bed frame is made of metal and has a strong and sturdy feeling to it. It can move down to only 15 inches from the floor, which is ideal for anyone who has issues getting in and out of bed. This is especially helpful for anyone in a wheelchair. The head and legs operate separately, so you can raise and lower them on their own or together. It also has a zero gravity feature, where the legs are raised higher than the head. This puts your body slightly into an S-shape, which resembles how one would sleep in a zero gravity scenario. This position is great for lower back issues, high blood pressure and anyone needing more serious pain relief. The two negatives for this mattress are that it doesn’t come with a light underneath the bed, and doesn’t come with a mattress. Read the full review of the Nectar adjustable frame here. This Bluetooth-enabled bed comes with a mobile module that can be controlled by any device with Bluetooth capability. It has an amazing massage system built in. You can use your Bluetooth device to choose one of 10 customizable massage options. So you can get a head massage, a foot massage, or both at the same time! In addition to a zero gravity feature, it has an Anti Snore position. It has a great 20-year warranty, which we like to see. So you can purchase it knowing it will last. Its negatives are that it’s quite heavy overall, and it only comes with one remote in the sizes below a king. Read the full review of the Reverie 7S adjustable foundation here. This model is really easy to set up, which is a plus. It’s designed to keep your spine properly aligned too, which will help with reducing back pain. It has both zero gravity and anti-snore positions and comes with a USB port to charge your devices. It comes with a 100 night trial from Tomorrow Sleep, so you can return it for free if it’s not to your liking. And it comes with a 3-year warranty after you decide to keep it. Read the full review of the Tomorrow Sleep adjustable base here. This base is one of the more popular on our list of 8 Best Adjustable Beds. It has great features like a wireless remote and 2 USB charging ports. It also has six legs, which is two more than usual. This gives it an incredibly sturdy feel. And it’s easy to set up. It works great with all kinds of mattresses, including memory foam, latex, and any adjustable bed friendly spring mattress. It features a zero-gravity preset and a massage feature as well. And it can hold up to 1000 pounds of maximum weight. 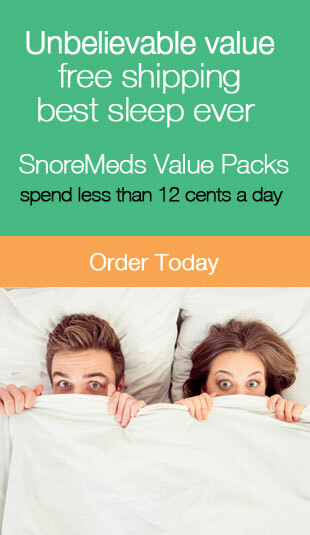 Its main negative is that it doesn’t come with a mattress – you’ll need to supply your own. Read the full review of the Classic Brands full adjustable bed here. This bed frame is equipped with Serta’s proprietary “Smooth Power Lifting System” which is state of the art. It’s very quiet as it moves, which is rare at this price point. It also has a great anti-movement bar that keeps your mattress from shifting around as you move. It comes with an additional metal sidebar for this as well. It’s generally more affordable than other adjustable beds on this list. And it comes pre-assembled, so there’s no building it out of the box! Its negatives are that it’s fairly heavy and it has somewhat of a low sidebar. You can see our full review here. Read the full review of the SertaAdjustable Motion Essential III here. The bed stands 15 inches tall. The legs connect to metal side rails which support the planks of wood that will hold the mattress. You control the position of this bed through a wireless remote that has two buttons – one for each motor. The negatives are that it does not come with a massage feature, and is only one unit unless you order the Split King size. (One unit means that you can’t adjust each side independently. Read the full review of the Yaasa Adjustable bed here. We’ve included the PragmaBed as one of our 8 best adjustable beds because of its simple design and ability to fold up and be easily stored. It is a non-motorized adjustable bed at a price almost anyone can afford. This foundation comes pre-assembled and is very compact. So you can fit it into smaller bedrooms easily, and have it up and running in no time. It comes with a hypoallergenic coating to not only fight off bugs and mites, but also help resist corrosion. Its head and foot angles are set up based on scientifically studied theories on posture correction in sleep. It features a large storage area underneath it, and can hold up to 2400 pounds in its larger sizes. The negatives are that there aren’t many ways to upgrade it, so you are stuck with the model as-is. And it’s slightly unsafe, in that you have to ensure you hear the ‘click’ of it locking into place when you move it. Otherwise, you could fall off. Read the full review of the PragmaBed Simple Adjust Head and Foot foundation here. Now that you’ve gotten a sense of what an adjustable bed is, and what’s positive and negative about these 8 adjustable beds, it’s time to decide which is right for you. And if you have any questions about these 8 best adjustable beds, or just want to chat more about adjustable beds in general, contact us today! As always, we hope you found this article both informative and entertaining. If you did, may we ask that you share it with your friends and family through social media. It really helps us a lot and is greatly appreciated!